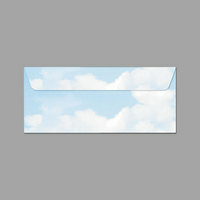 Our selection of envelopes and mailers allows you to send business documents reliably. With a wide selection of styles, you are sure to find what you need. Among these products, we also carry envelope moisteners to help you seal your important mail securely. For related products, check out our staplers, cards and stationery, and specialty paper. If you're wondering where to buy geographics envelopes and mailers, we have a large selection of geographics envelopes and mailers for sale at the lowest prices.